One time, Joe Lycett got a parking ticket. We've all looked at a parking ticket and considered whether we should fight it. Was the sign clear enough? Was that line really visible? Most of us will just end up paying it anyway, but not Joe Lycett. If you haven't already heard Joe's story, as aired on 8 Out of 10 Cats Does Countdown, you can go watch it now. Someone pass me some buttered parsnips while we wait. 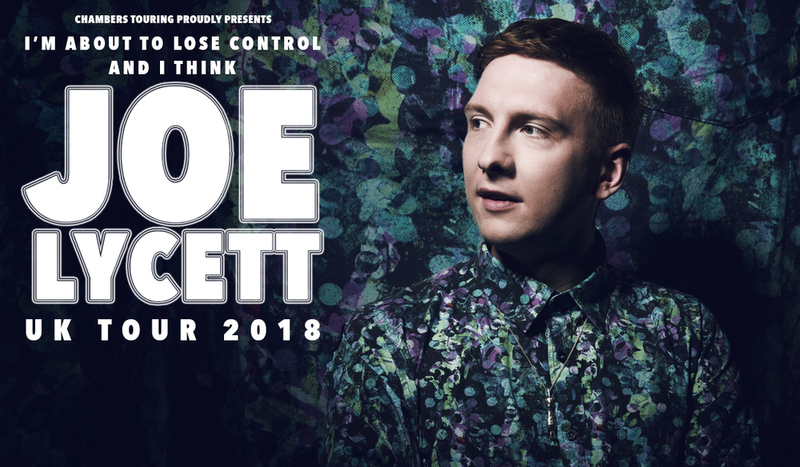 Joe will be swinging by Nuffield Southampton Theatres' NST Campus on Sunday 11 March 2018 as part of his UK Tour for 'I'm About to Lose Control and I Think Joe Lycett'. This stand-up tour includes jokes, painting and more brilliant internet trolling like the story above. You'll be cracking up laughing while also thanking your lucky stars that you weren't the receiver of one of his emails. Tickets are £20 and can be purchased from the NST Website or by calling the box office on 023 8067 1771. This show is recommended for audience members over the age of 13. If you miss out on Joe's Southampton show, check out his website for more tour dates around the UK.